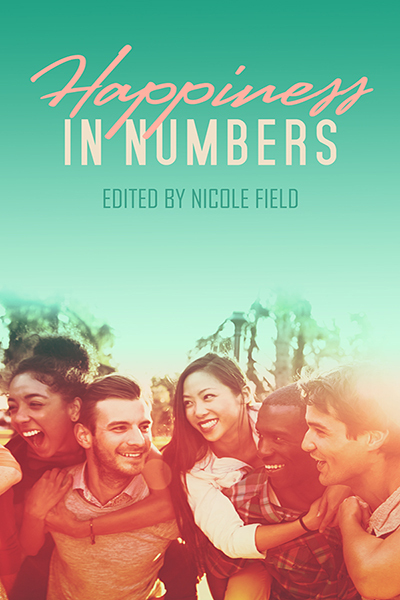 Meredith & Aveline are super stoked to both be featured in a polyamorous short story anthology focused on family, released February 5, 2019 (edited by Nicole Field). Summary: After fighting off evil spirits, unwilling psychic Keith would love to take his time and enjoy dating Lucas, the ghost attached to him, and Hiraeth, the deer-like Other he met not long after being dragged into the world of the paranormal. But when Hiraeth’s son shows up asking for help with a curse, Keith’s got a lot more to deal with than just finding time for a date! About: This is a sequel to Empty Vessels, but can be read as a standalone! Featuring an anxious guy that can see ghosts, his ghost boyfriend, their mutual dear (and deer-antlered) lover, and a very fancy fish. Set in a contemporary world where magic and mysterious Others co-exist with the mundane human world, Empty Vessels and its sequel novella focus on love and bonds in the face of the eerie, unsettling and monstrous in the world. Summary: Lucie is used to hiding the fact she’s a witch, but she wasn’t expecting to find out her girlfriend is also keeping a secret—that she’s the crown princess. Invited to meet Suri’s parents, Lucie instead finds herself helping Suri’s bodyguard-slash-lover in unravelling an attempted political coup that threatens more than meet-the-parents night. About: A scatterbrained witch, a put-upon demon crow familiar, a non-binary elf bodyguard with fantastic biceps, and an strong-minded princess balance their growing interconnected relationships and unfolding secrets—all while trying to save their country from a plot to take the throne. Ebooks are available immediately as of Feb 5 from LT3 Press, and by Feb 6 from other online retailers. Print copy orders will be available shortly after the release date of February 5, 2019.